The former Olympic village of Chamrousse is situated right in the middle of the Alps and provides breathtaking views of the local scenery, amazing ski facilities and some fantastic accommodations for visitors to choose from. 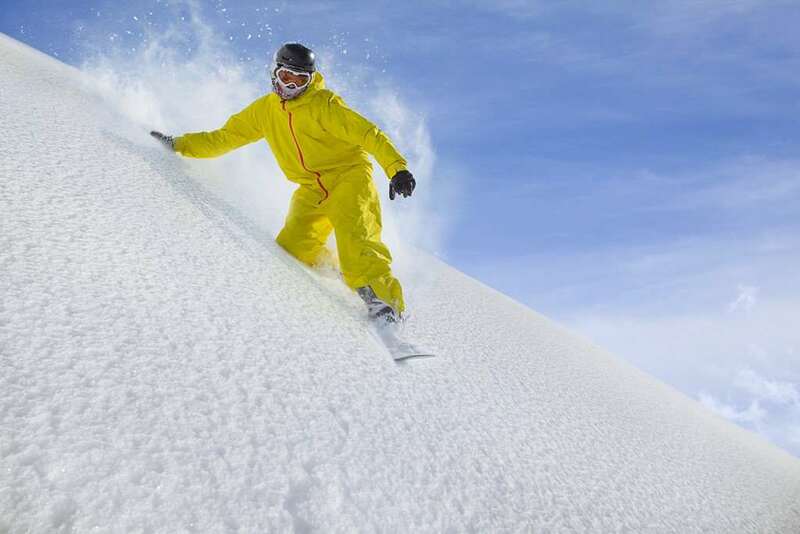 As well as boasting a traditionally French feel, the resort has seen significant investment that has helped to turn it into one of the quickest-growing ski spots in the whole of Europe. Although the amazing terrain keeps people coming back to Chamrousse, part of the reason why the area has become so popular is its incredible hospitality and hotels, which are based just a short distance away from the slopes. If you are searching for a peaceful stay away from it all, this amazing region of France continues to be a big attraction for wintersports fans and Britons looking to try the sport for the first time in a fantastic environment. The ski season in Chamrousse runs from December to April and the conditions are fantastic, with all runs expertly maintained. Across the resort there are 90km of runs, along with a snowpark and three nursery areas for newcomers to the area. One of the most challenging areas is Croix de Chamrousse, which is the highest point of the resort and features two of the most challenging routes. On top of this, cross-country skiing is available throughout the resort and the Roche Beranger area provides some great options for both beginners and intermediates. Expect some brilliant forest runs, too, providing incredible views of the Alps region. There are over 20 restaurants and bars across the resort for visitors to explore, though the atmosphere is relatively quiet. When it comes to other activities, there is snowmobiling, paragliding and dog sledding to keep visitors occupied after a day on the slopes. Shoppers will be happy to hear that there is a market held in the area every Tuesday, alternating between the Chamrousse 1650 and Chamrousse 1750 areas. 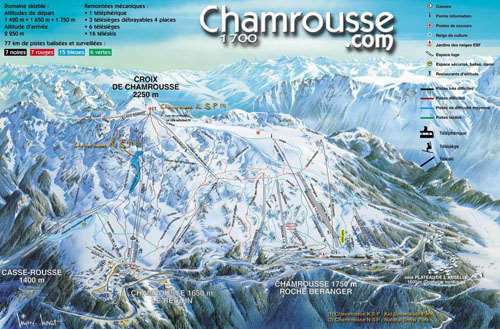 The closest airport to Chamrousse is Grenoble, which is around 50 minutes away by car.